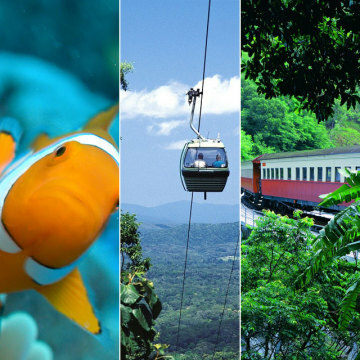 Kuranda Scenic Rail & Skyrail is one of the world's most beautiful and unforgettable rainforest experiences. 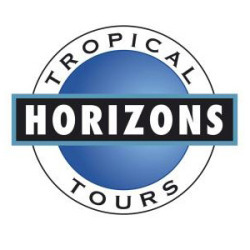 Most tours include both the Kuranda Scenic Rail & Skyrail Rainforest Cableway with accommodation transfers. 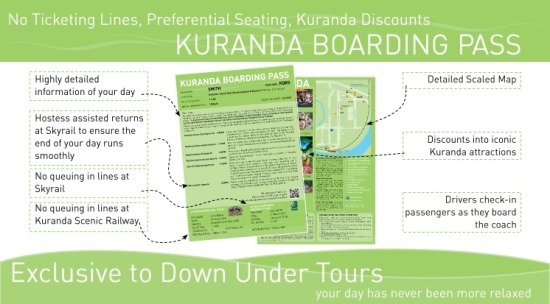 There are many Kuranda packages available so we have collated all the tour options, extras and upgrades from all tour operators so you have everything you need to easily plan and book your ideal Kuranda experience. 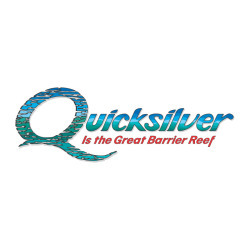 If you need some local advice please feel free to call one of our consultants in our Cairns office on 07 40402100 or 1800 663 396 during office hours. 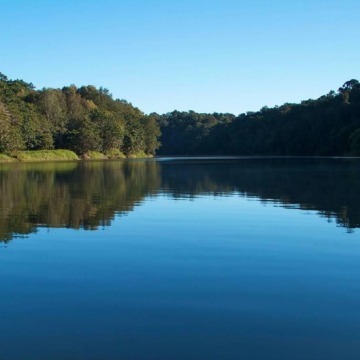 This is a spectacular journey from Cairns to Kuranda - the village in the rainforest. 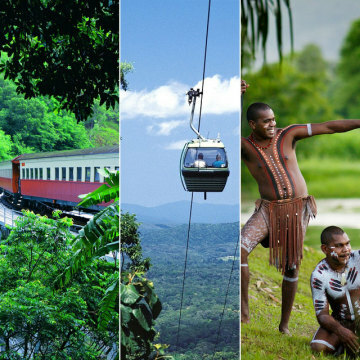 The Kuranda Scenic Train winds its way through dense rainforest, steep ravines and picturesque waterfalls from sea level to 328m in approximately 2 hours. 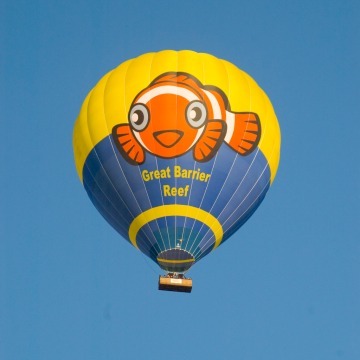 The views over Cairns to the Great Barrier Reef are just magnificent! 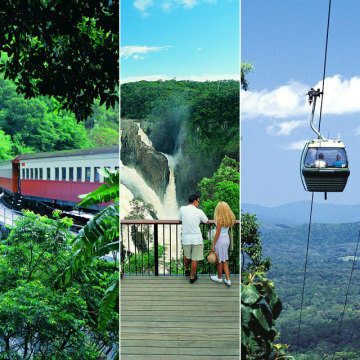 The Skyrail Rainforest Cableway is the longest rainforest cableway on the planet spanning 7.5kms over pristine rainforest. 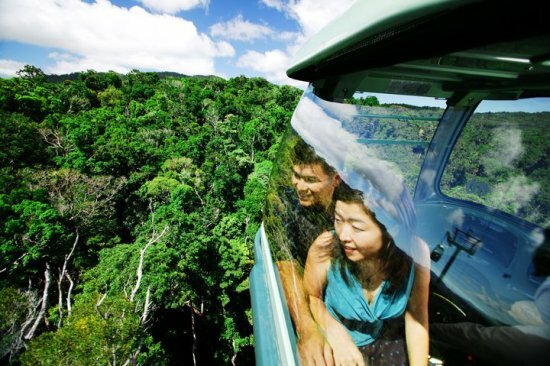 Gliding just metres above the rainforest canopy in comfortable six-person or 5 person diamond view gondola cabins, the Skyrail journey will immerse you in an intimate rainforest experience. 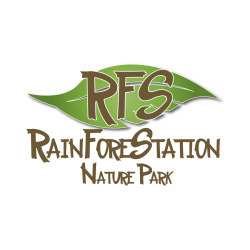 During your Skyrail journey you will have time to explore two on the rainforest mid-stations - Red Peak and Barron Falls, where you can explore the forest floor on boardwalks & view the scenic look-outs. A one-way Skyrail Experience will take approximately 90 minutes to complete. 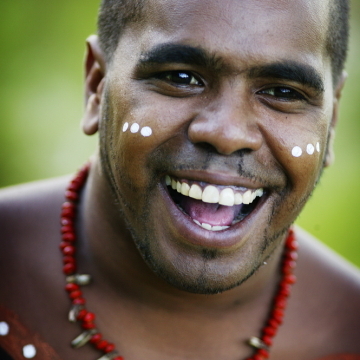 Most Train & Skyrail Package include time to explore Kuranda Village. 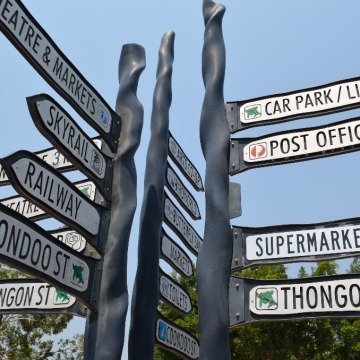 This small township has been attracting visitors for well over a century. 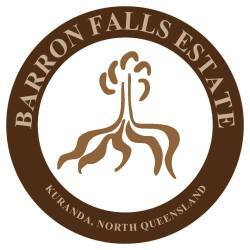 Initially people came to admire the mighty Barron Falls, while artisans were attracted to the region's natural beauty. 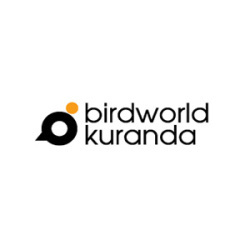 Throughout the 1960s and 1970s Kuranda was popular with alternative lifestylers, a theme that still runs through the local community today. 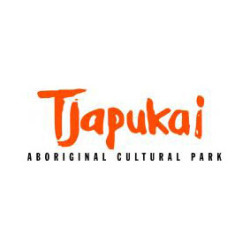 Here you will discover a variety of natural, cultural, wildlife and shopping experiences including the relaxed atmosphere of the local markets, selling unique souvenirs and gift items. 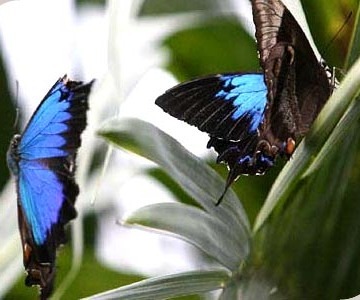 There are many attractions to visit in Kuranda including Rainforestation, Birdworld, the Koala Gardens Wildlife Park and the Australian Butterfly Sanctuary, and getting there is all part of the experience. 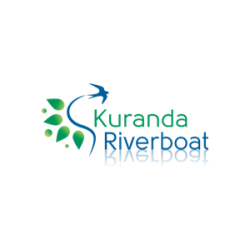 You will be presented with your "Kuranda Boarding Pass" when you are picked up for your transfer to Freshwater or Skyrail Stations. The Boarding Pass is your ticket for the day. 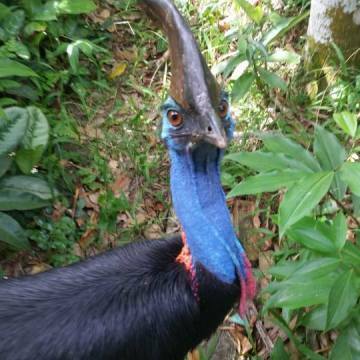 Go directly to the boarding area of Kuranda Scenic Rail & Skyrail rather than collecting your tickets from the ticket windows. 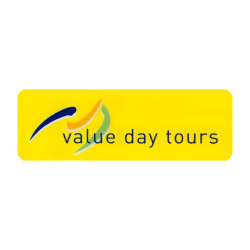 The Pass also gives you detailed info on your day with maps, tour itinerary, timings and also handy hints on points of interest such as free shuttle bus departure locations, cafes, attractions and ATMs. 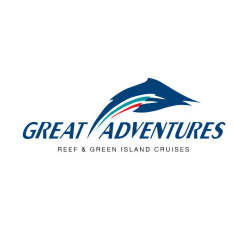 This is one of the most popular land based tours in Cairns. 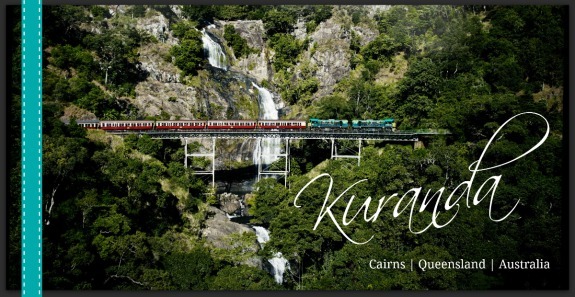 The Kuranda Train departs the Cairns Railway Station at 8.30am and 9.30am daily. It stops en-route at the Freshwater Historical Railway Station also known as Freshwater Connection. 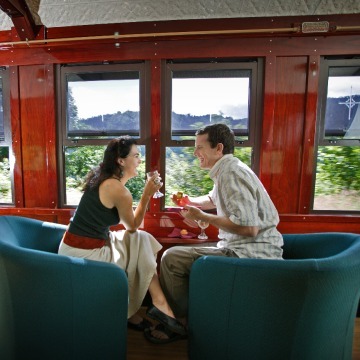 This station includes a railway museum, pioneer cottage and a café where you can enjoy a hearty breakfast. This station is a feature of the day and we always recommend guests depart or return to this station. Departures from Freshwater Railway Station are at 8.50am and 9.50am. 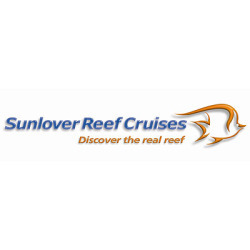 Tours picking up from Cairns hotels start at 7.30am and 8.30am and take you to Freshwater Connection in plenty of time to meet the train. 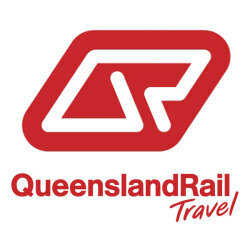 If you prefer to do the Kuranda Scenic Rail Train in the afternoon there is a 2pm and a 3.30pm departure from Kuranda. This will get you back to Freshwater Station at 3.30pm and 5pm with coaches meeting these trains. The afternoon train is popular for guests who book the Gold Class upgrade. 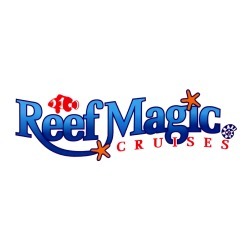 This upgrade includes beverages and morning or afternoon tea. 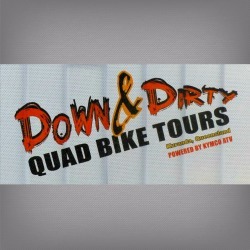 All of these tours do need to be pre-booked. 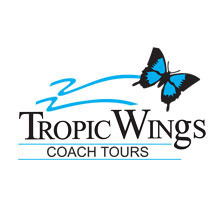 The coaches are for pre-booked passengers only and there is not a regular local bus service. 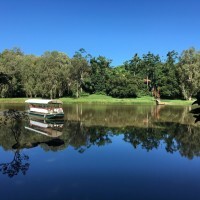 The train takes 1 hour and 40 minutes to make its way up the mountain range through hand carved tunnels and rainforest, stopping at the Scenic Barron Falls for a photo opportunity. 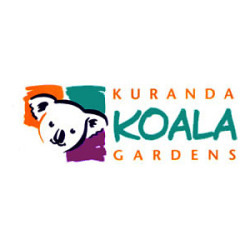 Once in Kuranda there is plenty to do. 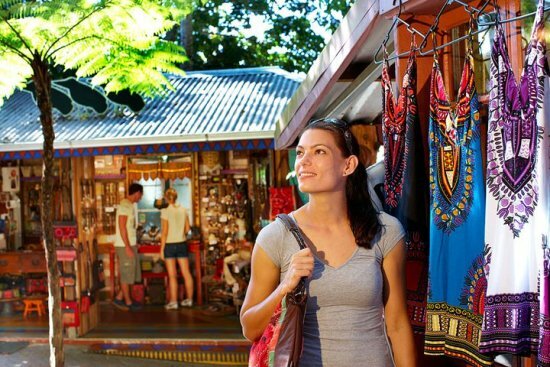 Shopping at the famous Markets, Wildlife attractions including Butterfly Sanctuary, Bird World and Koala Gardens, and Kuranda River Cruise. 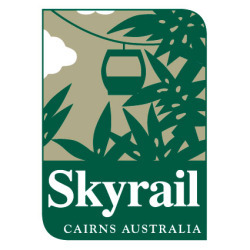 The Skyrail is a cableway and runs like a ski gondola on a 14 km loop with many gondolas. These gondolas arrive every 40 seconds so there is not set departure times for these. We do suggest to allow 1.5 hours to go down the mountain. 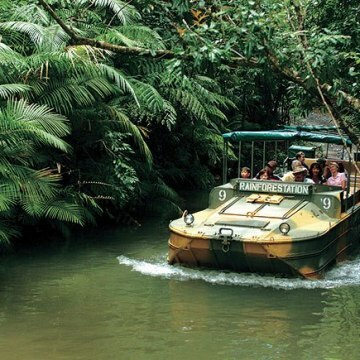 There are 2 stations on Skyrail where you can wander through World Heritage rainforest. 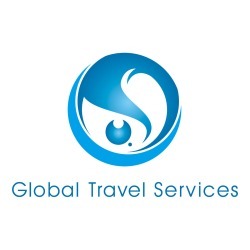 There are many different tour operators who offer variations to fit with your planning. 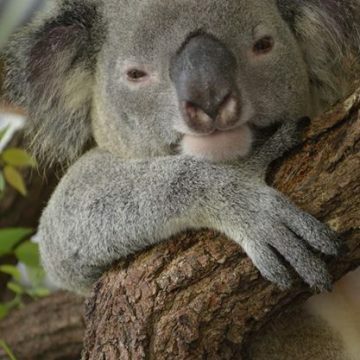 For example people who prefer to sleep-in can opt for a later hotel pickup, go up on Skyrail then come back down the mountain on the Kuranda Train. 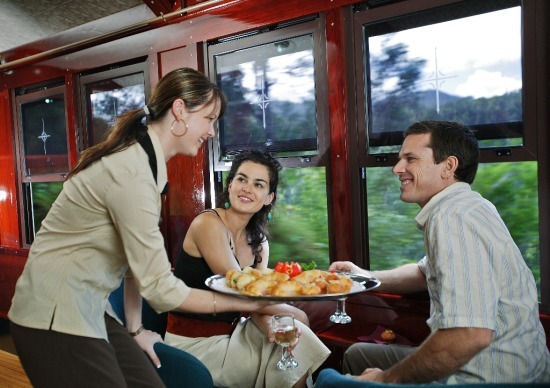 For people who have their own car it is possible to book the Kuranda Train and Skyrail self-drive tour option. This involves driving your car to the Skyrail Station. Parking it free for the day. 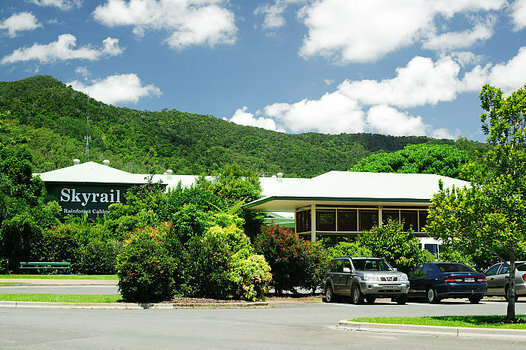 A coach driver then picks you up here and drives you over to the Freshwater Station where you can have a look around the station, head up to Kuranda on the train, spend the day in Kuranda then come down the mountain on the Skyrail at your leisure and jump in your car and drive back to your hotel. 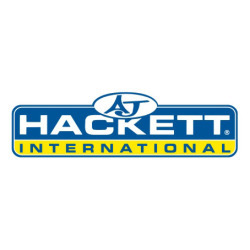 For people who have their own car this option gives you the convenience of leaving at a time that suits you and is a little cheaper than the other option that includes return hotel transfers. 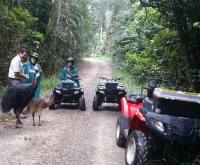 Most Kuranda Tours are unguided and leisurely days. 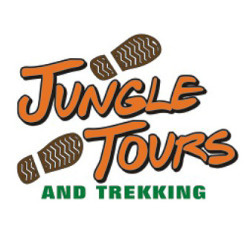 Fully inclusive tours that include lunch and Rainforestation. 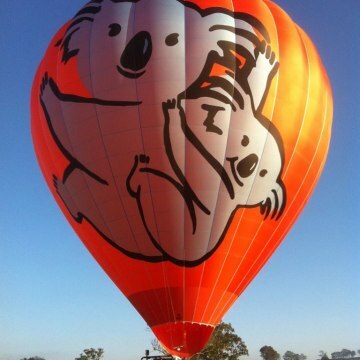 As well as Sunrise Hot Air Ballooning tours that combine with the Kuranda Train and Skyrail and work out at better value than booking these options separately. Feeling like some VIP treatment? Upgrade to Gold Class where you will be treated to refreshments in your hand crafted Victorian inspired club class lounge seating. - Local produce including beers wines, fruit, cheese & more. 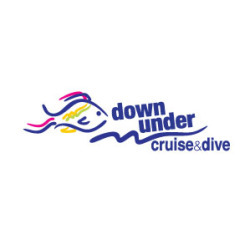 You can upgrade to Gold Class by selecting it in the extras or Click here to book our pre-packages Kuranda Gold Class + Skyrail option. 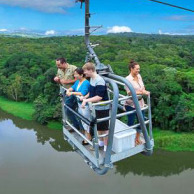 Experience Skyrails' new Canopy Glider. 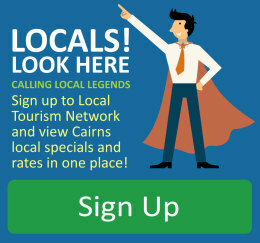 Enjoy uninterrupted 360 degree panoramic views of Cairns & Surronding region. 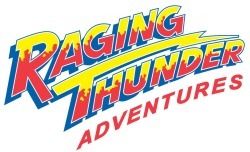 The Canopy glider only departs 2 times a day so make sure you book early! 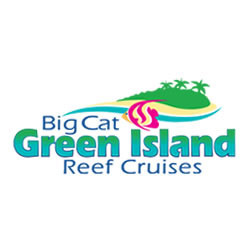 More Info..
"The best kept secret in Kuranda"
This 45 minute Riverboat cruise provides great photographic opportunities whilst your local guides share their vast knowledge of this unique area. 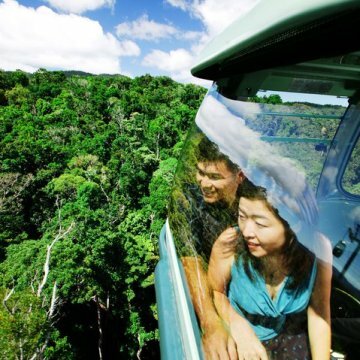 11 of Skyrails gondolas have a see through floor giving you an amazing perspective of the rainforest canopy. You can simply upgrade to the diamond view when booking. You will find the upgrades available in the extras section on the booking cart page.